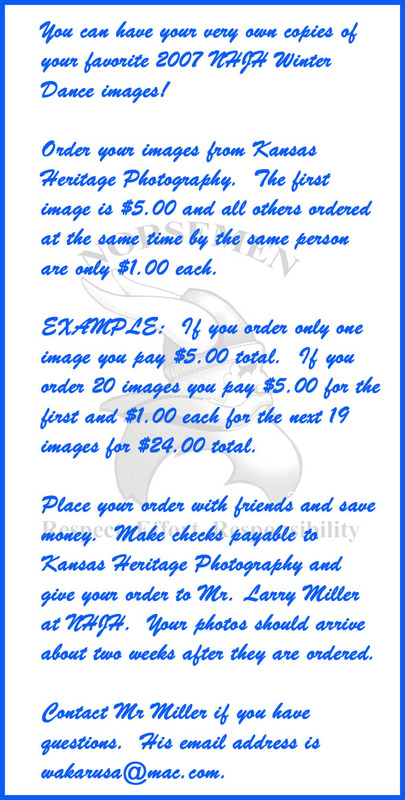 ORDERS MUST BE PLACED BY 15 JANUARY 2008 TO RECEIVE THIS SPECIAL OFFER THAT IS BEING MADE TO NHJH STUDENTS. All photos are printed on professional archival paper. All will be 4x6 in size. Some cropping may occur due to a slight difference between the display format and the actual print format. Also, note that there may be slight color differences and grain effect due to lighting and the amount of cropping.